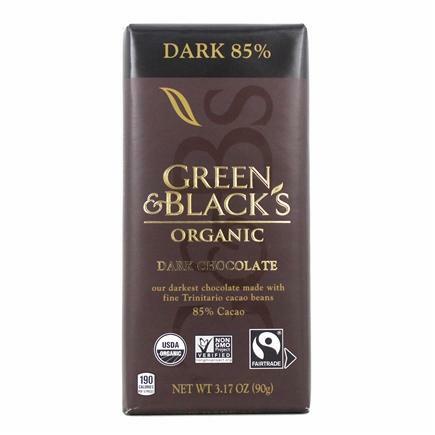 My Favorite Dairy-Free Dark Chocolate Bar! 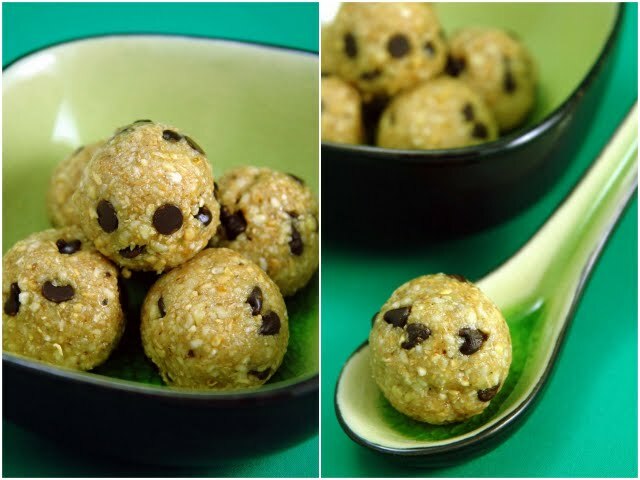 And if you’re wanting a high-protein snack with a little chocolate kick, consider chopping up about 3 or 4 squares into these “Raw Cookie Dough Bites” from A Dash of Compassion‘s blog. The recipe in the link makes about 12 one-inch cookie dough balls. I used honey instead of agave nectar, and they were deliciously guilt-free! Plus, they make a great on-the-go breakfast, if you’re in a hurry, since they’re just nuts, oats, a little honey, cinnamon, a pinch of salt and some dark chocolate. Feel free to substitute raisins for the chocolate if you want them to be even more nutritious! This entry was posted in Health & Nutrition, Recipes and tagged a dash of compassion, chocolate, cookie dough, cookie dough balls, dairy-free, dark chocolate, green & black's, lindt, Organic. Bookmark the permalink. Aldi’s chocolate is dairy free as well, a bit cheaper than the above two brands. Their mint variety and their orange variety are good, but my favorite is the chili variety. Of course, plain 70-85% are good as well. 😉 The cookie balls looks delicious!!! 🙂 Thanks for sharing!!! Have you ever seen the chocolatecoveredkatie blog? She does healthy desserts, many of them chocolate, almost all dairy free and many gluten free!! I love her recipes, especially since I’m always looking for guilt-free (or low-guilt) desserts–especially chocolate desserts! Thanks for the tip! No, I haven’t seen that one yet. Will have to check it out!